A long time favorite in Australia, David Austin Roses are bred in England and are well renowned for being fragrant and repeat flowering. 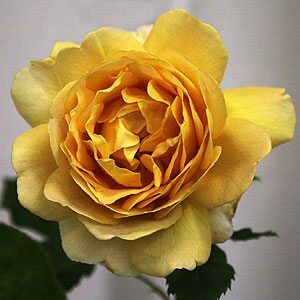 It is the combination of fragrance, repeat flowering and hardiness that makes these roses so popular. In some ways David Austin Roses use a simple combination of the best old fashioned looking roses with the disease free and strong growing modern attributes. Every year new varieties are released in the UK, however they will not all be immediately available for sale in Australia. New releases are trialled in Australia before release to the public, so expect a 3 year delay. The latest release in the UK include ‘Olivia Rose’ is named after David Austins Granddaughter, a wonderful fragrant soft pink rose. And a new yellow variety ‘The Poet’s Wife’ a low growing variety we are very keen on. The final 2014 addition is ‘The Lady of the Lake’ a pink rambler that is sure to make a hit if released in Australia. In general growers in Australian will graft roses onto a variety of disease resistant, virus free and hardy rootstock such as ‘fortuniana’. Generally speaking if you can’t find it in the catalogues of the participating nurseries listed below, it is probably not available. And of course some of the older releases will be deleted over time. The latest release David Austin Roses include Young Lycidas with its large deep magenta flowers, the charming Wisley 2008 with its clear pink flowers and the brilliant deep luminous pink Sir John Betjeman. David Austin Roses are available form nurseries listed below either as bare rooted roses during winter or as potted roses at other times of the year.